« Who Is Really Behind Efforts to Block the Medical Marijuana Industry? 19 December 2016. A combination of dental pulp stem cells and cells from human umbilical cords, mixed with a common hydrogel, were shown in lab rats to regenerate pulp-like tissue in teeth roots. A team from the lab of Tufts University dental school professor Pamela Yelick reported its findings in the 15 December issue of the Journal of Dental Research. 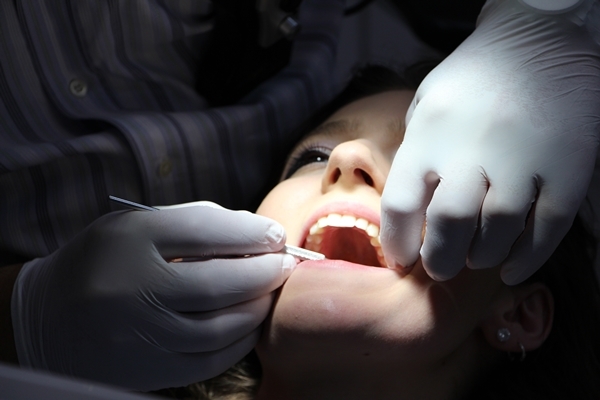 The Tufts researchers took human dental pulp stem cells from wisdom teeth already extracted from patients. These stem cells were then combined with cells taken from blood vessels in umbilical cords, known for accelerating cell growth. This mix of stem and umbilical cord cells was then placed in a gelatin methacrylate hydrogel solution, a gel material made largely of water with biocompatible polymers. Gelatin methacrylate is a common, inexpensive hydrogel derived from human collagen, a basic and abundant protein found in skin, bones, and other connective tissue. The mix of stem cells, umbilical cord cells, and gelatin methacrylate were then injected into the roots of human teeth also extracted in separate previous clinical procedures, and cultured the injected teeth roots in the lab for 13 days. The researchers implanted the cultured teeth roots under the skin of lab rats, which were monitored for 8 weeks. For comparison, the team also implanted teeth roots without the mix of cells and hydrogel, and teeth roots with hydrogel alone. The teeth roots with stem cells, umbilical cord cells, and gelatin methacrylate quickly began to regenerate new pulp tissue, which after 2 weeks was found inside the empty tooth roots. The team reports blood vessels started forming at 4 weeks along with more cell growth. And at 8 weeks, pulp-like tissue filled the entire pulp space, with organized blood vessels containing red blood cells. In addition, the researchers found the dental pulp cells extending to remains of dentin in the teeth roots — the bone-like material making up most of human teeth — and began attaching to it. The team also found no evidence of inflammation at the implant sites, which indicates the biocompatibility of the hydrogel to deliver the cells to the roots. The control teeth roots, with either plain or no hydrogel, had much less tissue growth, unorganized blood vessels, and no dentin attachment. Yelick and colleagues conclude seeding teeth roots with stem and umbilical cord cells is a promising alternative strategy to regenerate new dental tissue, but caution the concept still needs to be proven with nerve formation in dental pulp, which was not examined. More preclinical tests with larger animals are also needed, even before considering human clinical trials.